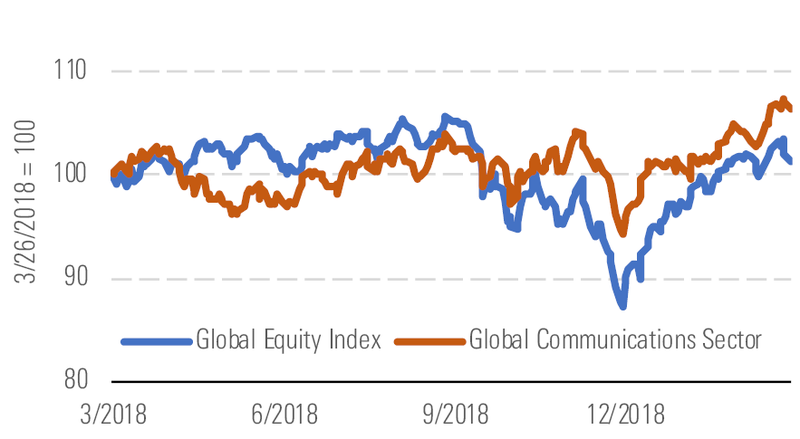 After faring far better than the broader stock market during the sharp sell-off in late 2018, the Morningstar Global Communications Index has increased only about 10% so far during the first quarter, similar to the 11% return of the market in the same period. Performance across the telecom sector has been uneven, though, as a handful of high-yielding European stocks declined significantly and firms elsewhere, with generally lower yields, showed less volatility. Despite this rocky performance, we continue to believe that Europe offers a particularly attractive hunting ground for value within our telecom coverage.